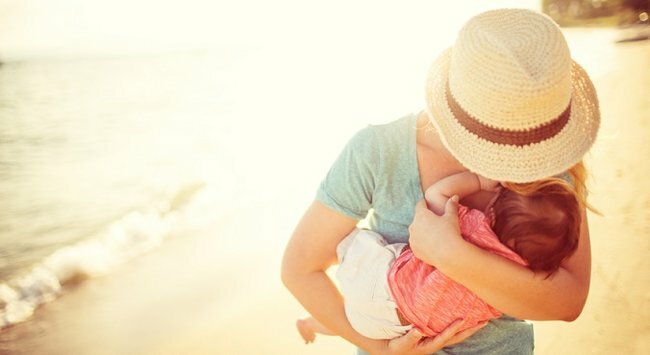 These days, more and more women are older mothers. "I didn’t plan to be almost 40 when my daughter was born." I can’t turn back time and become a younger mum. But if I can do a few small things that will make me look younger, then that’s what I want to do. Other kids at school used to ask me this all the time when they saw my mother. She was 40 when I was born, and by then she already had grey hair and some well-earned wrinkles, courtesy of my five older brothers and sisters. I didn’t plan to be almost 40 when my daughter was born, but somehow – you know, career, life, etc – it happened. And there’s no way I ever want anyone to mistake me for my daughter’s nanna. Is that being vain? Yeah, maybe. I’m sure I’m vainer than my mother, a wonderful, selfless woman who spent most of her waking hours doing housework and didn’t have a lot of time to think about her appearance. But the truth is, I just don’t feel like I’m in my mid-forties and I don’t want to look like I am, either. When my daughter was a baby, six years ago, I was rolling around on the floor with her. Now we’re sliding down slippery dips together and swimming in pools and bouncing on bouncy castles. This is the kind of mum I want to be. I want to be a friend as well as a parent. I want us to do things together. I want us to go camping and shopping, to art galleries and concerts, walking and talking the whole time. I want her to feel she can tell me anything, and to know that I’ll always be there for her if things get tough in her teenage years. Right now, it doesn’t feel like there’s a 40-year age gap between us and I don’t ever want to feel like there’s a 40-year age gap between us. Maybe the way I look shouldn’t be wrapped up in that, but for me, it is. I don’t want to look at photos of us together and see an old woman with a young girl. I’m not going to go crazy. I’m not going to have cosmetic surgery or anything like that. But I get my greying hair coloured regularly (going a shade lighter than my natural dark brown, hoping it will make me look younger). I buy clothes that are a little bit funky (avoiding the short shorts, but going for the great boots). I look after myself: I try to feed myself as healthily as I feed my daughter, I try to work exercise into my day and I try to get a decent amount of sleep. And, because my eyes are showing my age before the rest of me, I’ve started experimenting with an eye-lifting gel by Transformulas in an attempt to transform myself, freeze time and give me an instant lift (even if just mentally). Anything that can smooth lines and reduce puffiness even a little bit is going to mean a big difference. Do you think there is a "right" time to have children? Older mum? You&apos;re not alone - check out our gallery of awesome older mothers..